Back acne is not a very common form, but for those that suffer with it, it can be one of the worst ones. Yes, for most of the time and year you can hide it under your clothes, but what about those summer vacations or going for a swim? 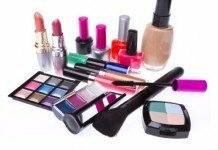 As with all acne, it attracts unwanted attention and you just know that people think that you are simply not cleaning it right or enough. 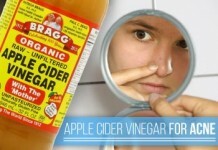 But the causes are so much more complicated, and skin cleansing is most often not the biggest problem. But even if you just avoid going out in public while exposing your back, it can be very sore at times with fabrics rubbing against the pimples. And then of course there can be intimacy issues as well. It’s just something you’d like to be able to deal with effectively. To help you improve your situation and gain some of the lost self-esteem back, we have put together this list of 7 tips that will really make a difference. 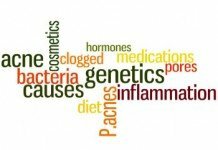 Once you add these to your daily routines you will quickly notice that the frequency and severity of the outbreaks goes down significantly. 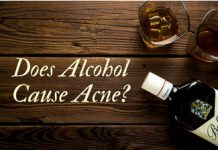 What is Back Acne and How It Is Caused? 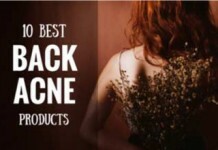 Back acne or “Bacne” is one of the most prominent skin problems that victimize people of almost every age group. But don’t worry if you’re suffering from it, because you’re not indeed the only one. 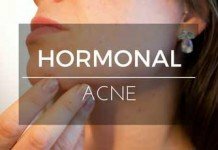 “Acne is the most common skin disease in adolescence, with a prevalence of nearly 100%.” – Says Prof. Dr. Harald P Gollnick and Prof. Dr. Christos C Zouboulis in their latest research on acne. 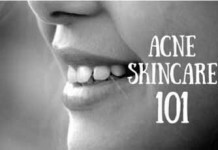 It is triggered when your skin pores become clogged — causing more oil and dead skin cells to form, which ultimately leads to acne. The main (not the ONLY) reason behind this pore clogging is the buildup of excess sweat on your back. 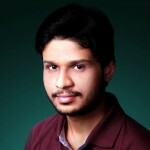 Now let’s come to the core point of this post. I mean getting rid of back acne. 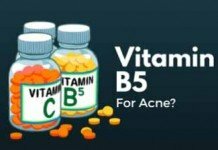 And for doing so, I’ve gathered some of the most successful and worthwhile natural remedies that will effectively do this task without costing you a fortune. 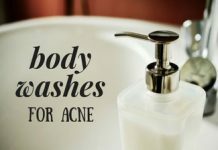 Taking a proper shower daily with a prominent acne-fighting soap can effectively improve the condition of acne on your back. 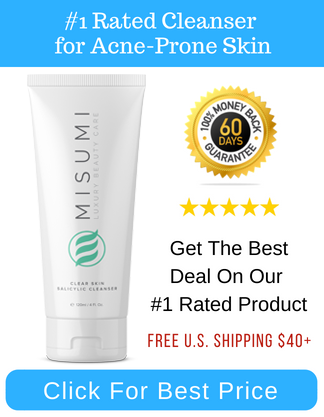 It removes the excess oil from your skin, wipes out the dirt, and sheds dead skin cells. All this together blocks the occurrence of acne on your back. 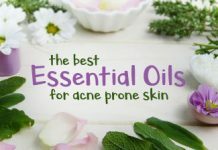 But make sure to not wash your back abrasively, otherwise, you’ll lose too much natural oil from your skin, which can cause irritation and further aggravation of acne. 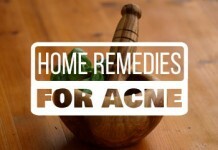 By far, witch hazel is the best natural astringent that doesn’t cost a fortune. 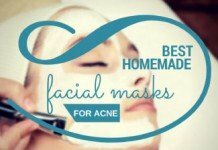 It’s gentle, it’s effective, and it does everything needed to clear away your acne. 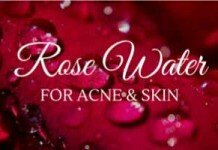 It cleanses and tones your skin, removes excess oil without reducing essential moisture, and opens up the clogged skin pores. That’s a glimpse of what it does. Now let’s discuss how to use it to get rid of back acne. Pour it into its bottle’s cap. Soak a cotton ball into it and apply to your blemishes or ask someone else to do so. If it doesn’t irritate your skin, repeat the process one more time. You will need to do it daily until you notice considerable results. If it dries out your skin, you can apply Aloe Vera gel to soothe it. The thing is to keep every source unnecessary oil away from your back. And you’re supposed to do everything needed to make it possible. So if your hair is longer, make a habit of washing it regularly to keep its natural (or applied) oil away from your back. But don’t go overboard. 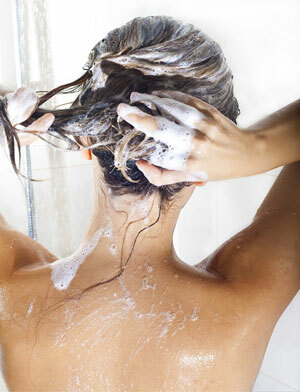 Because in some cases, shampooing daily can damage your hair. Just be fairly moderate. A good practice is tie your hair up to avoid letting their oils transfer to your back. If you live near the beach, trust me, it’s a blessing! Don’t have that luxury? Well, this the time to make a plan. 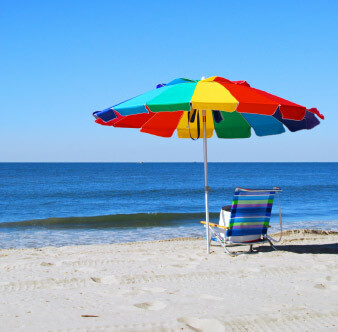 You should go to the beach and submerge your back in the water for a few minutes, or take a full bath instead. Once you’ve done that, turn your back toward the sun for about 10 minutes. If the day is pretty hot, don’t prolong this act, as this can easily burn your skin and promote pigmentation. Doing this will make the pimples dry, and by repeating this process for a few days, you will observe a noticeable reduction to your back acne. There’s no better way than exfoliation to get rid of excess oil, dirt, and remove dead skin cells from your skin. And for doing this, we’re going to make our own homemade scrub to exfoliate your back. Squeeze a grapefruit in a bowl. Now add the same amount of coarse salt in it. Mix them gently to make a paste. Apply this paste over your back and leave for a while. Afterward, use a sponge or loofah to remove the remainder from your back. “Everything you eat becomes a part of not only your inner being, but the outer fabric of your body as well. The healthier the foods are that you consume, the better your skin will look.” Says Samantha Heller, MS, RD, a clinical nutritionist at NYU Medical Center in New York City, WebMD. 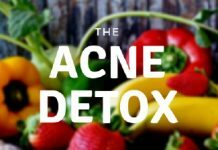 Having understood that, taking a healthy and well balanced diet containing foods that are less toxic, anti-oxidant, and nutrient rich will definitely put a positive impact on your acne and overall skin condition. Raw foods that are less cooked, less spiced, and less toxic should be preferred. Low fat yogurt that is rich in vitamin A and acidophilus (good for intestinal health). Fruits like blackberries, strawberries, blueberries, and plums aren’t only delightful, but they also put a very positive impact on your skin health as they contain highest anti-oxidant content. 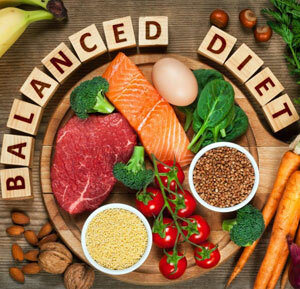 Maintaining a perfect balance between these foods is the key. Diversify your diet, and you’ll see positive results pouring in. Exercise helps in circulating your blood and the transportation of nutrients throughout your body. Once you’ve managed to maintain a diet that provides enough amount of nutrients for a healthy skin, now regular exercise will transport them to the relevant areas of your body. 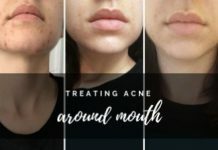 Not only does it do that, but it also controls your hormone levels, improves your mood, and promotes better sleep – means lesser stress (another trigger for acne). With that number of benefits, it really is worth focusing on doing regular exercise. 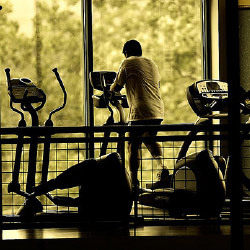 Swimming, biking, jogging, push-ups, jumping rope, and climbing stairs are all great methods to do aerobic exercise that don’t even require you to go to a gym. But going for a gym workout isn’t a bad choice either, as long as you avoid intense workouts that produce excess perspiration. As you already know, allowing excess buildup of your sweat increases the chances of pores clogging. After the exercise, rest for about 15-20 minutes to allow your body to cool down. 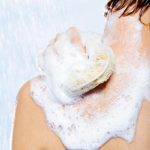 Once you’ve done that, take a bath right away with the method I shared earlier in this post and don’t forget to change your clothes. We now come to the conclusion of this post that will remind you one more time of what we’ve discussed so far and what you really need to do after reading this whole thing. 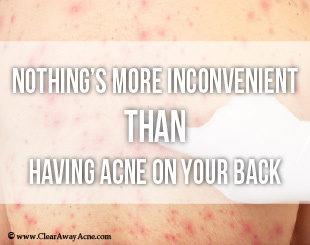 We discussed how daunting it is to have acne on your back and the main causes behind it. 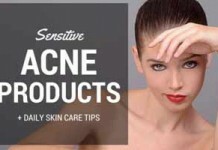 We then discovered 7 effective tips and method to keep your back free from acne. And the best part of all these tips was that they were almost completely natural. What’s even more is that most of them didn’t even require you to spend a dime. Taking proper showers, maintaining a balanced diet, going to the beach, and regular exercise are all absolutely essential; not only for your back acne, but your overall health. And when it comes to using Witch Hazel as a cleanser or a homemade scrub for exfoliation, I’d suggest you to choose any one of these methods and stick to it for at least 2-3 weeks. 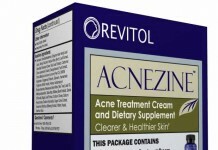 This is the least time required for any treatment of acne to show its effects. My posts are never complete without hearing your voice. So let me know about your thoughts on back acne and its treatment in the comments below.